In early 2009 I built my first dedicated HTPC based on the Mini-ITX form factor based on the Intel DG45FC motherboard (head over to the gallery for some photos). The DG45FC was Intel's first Mini-ITX motherboard fully focused on the HTPC market and it was based on the GMA X4500HD integrated graphics processor (IGP). This promised HDMI support with both full LPCM support and hardware accelerated decoding of 1080p h264 material. Intel initially struggled a bit with the GMA X4500HD drivers and they never got 24hz mode properly working. It also took the open source community quite some time to get DXVA support working but they eventually got there. This machine has served very well over the first using Mediaportal and later on XBMC when it became available for Windows. However we recently decided to get another HTPC to use downstairs which gave me the chance to build a new Ivy Bridge based machine. 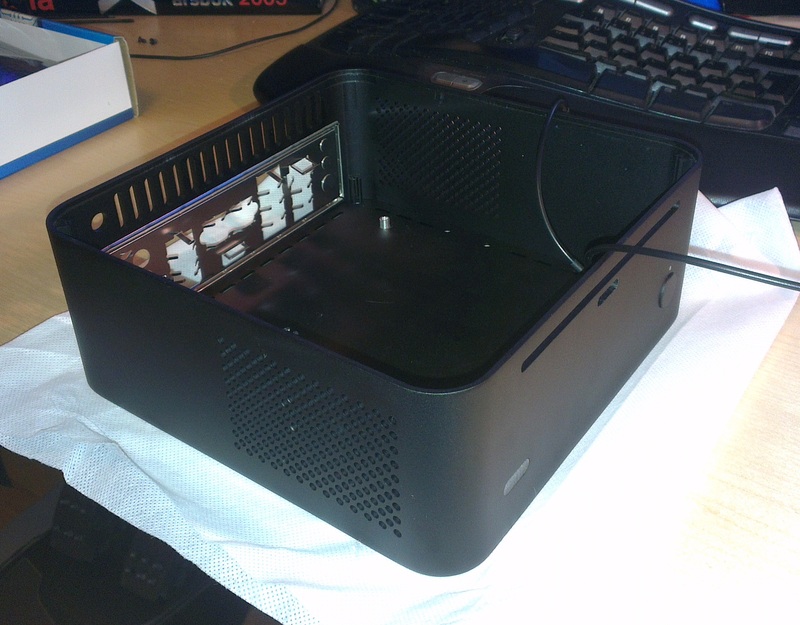 The empty Streacom F1C Evo case. The tip is most easily enabled by clicking or tapping on a small icon displayed when the you select a input field. The "magical" function that controls when TIP icon is displayed or not is pretty clever and differentiates between clicks using the ordinary mouse (no TIP shown then) and clicks using a touch screen or digitizer without needing any special support required in most applications. Firefox however with it's special XUL generated graphical interface has traditionally not played to well with this function. This has often resulted in that the TIP icon often refused to show for certain fields or sometimes show up at all. Various plugins have been developed over the years such as GeckoTIP and Gesso to solve this problem and enable full TIP functionality. In recent years Firefox has added built in support for the TIP so no external plugins are needed anymore. However I recently updated the Wacom driver on my HP 2740p Tablet PC to the version supplied on Wacom's website instead of using the driver supplied by Windows Update. This gave me lots of extra functionality and better digitizer accuracy however for some reason I lost the TIP panel in Firefox which was a real showstopper for me. I however remembered that years ago a special TIP option which could be enabled in Firefox and after spending some time researching this I found that this setting is still there. It's called intl.enable_tsf_support. Enter about:config and change that setting to true and TIP will work in Firefox even with the Wacom driver installed. I have no idea why this setting is not enabled by default, what it actually does or even why the TIP doesn't work for me in Firefox when the Wacom driver is installed but this solves the problem. I've been using Firefox since the early betas. Recently I changed to a new Tablet PC and foe the first time in many I decided to create a new profile instead of just transferring my old profile using MozBackup like I've always done in the past. This meant that I had reinstall all of my plugins and reapply all the tweaks that I had applied over the years. One tweak however took quite a bit of searching on Google to find so I thought I'd document it here for others to find. 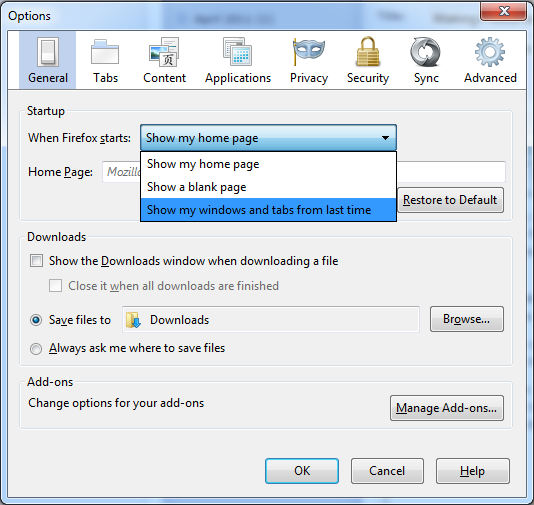 When you close Firefox and have multiple tabs open you can have Firefox prompt you if you want to save your open tabs or not. This function however cannot be enabled from the standard user interface since only gives you the choice of always saving your tabs or never saving your tabs. To enable the save prompt when closing Firefox with multiple tabs open requires only a single boolean value to changed in the about:config options. Simply type in about:config in the address bar and then search for browser.showQuitWarning and change it's value to true.